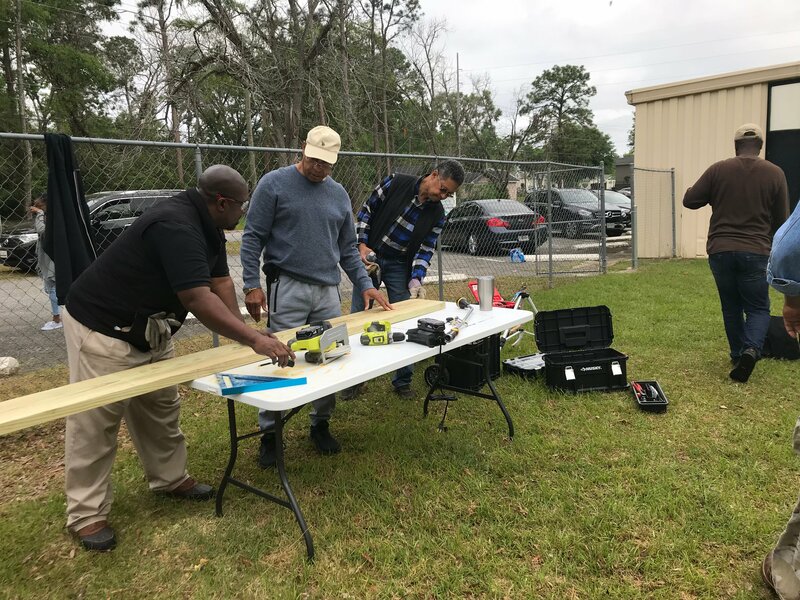 (ALBANY, Ga)- More than a dozen people came together at the Emmanuel 7th Day Adventist Church in East Albany to build a Hope Garden in a food desert. A food desert is an area with no proper grocery stores for several miles, and no available source of fresh produce. The church broke ground on the Hope Garden less than a week prior, and Sunday was the first steps towards making it a reality. Pastor Nelson went around the neighborhood to get a few other people to help their cause, including a few who aren’t members of the church, but still live in the area. Help also came from outside the City of Albany, as one of Pastor Nelson’s neighbors, Michael Wise and his family came down from Leesburg to lend a few extra hands. “The whole thing is really coming together and helping the community, so not everyone’s going to be able to afford the produce in the store, but being able to make a difference out in the community period, and we’ll hopefully raise awareness,” says Wise. Everyone who’s helping to make the garden a reality, wants to see it flourish for the sake of the community. With the hope garden well underway, it’s a big step towards putting an end to food insecurity in East Albany. The Emmanuel 7th Day Adventist Church will continue to build the Hope Garden on Thursday, April 25th.